In medium bowl, beat oil, 1 tablespoon of the harissa chili paste and the salt with whisk until well combined. 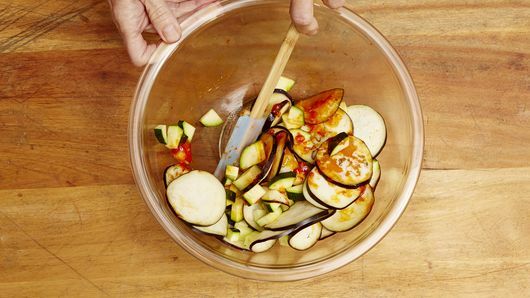 Add eggplant and zucchini; toss to combine. Place eggplant and zucchini in roasting pan, setting bowl aside for step 4. Roast in oven 8 to 10 minutes or until eggplant and zucchini just start to become tender. Grease dark or nonstick cookie sheet with shortening or cooking spray. 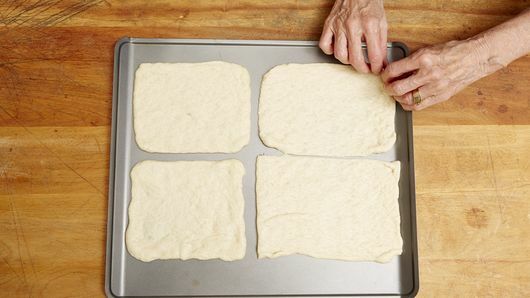 Unroll dough on cookie sheet; starting at center, press dough into 15x10-inch rectangle. 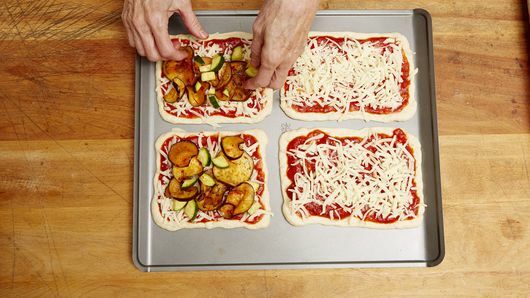 Cut rectangle into 4 equal pieces to make 4 small pizzas. Place 1/2 inch apart. Tuck corners of each rectangle under, and press to make even. In bowl reserved from step 2, mix marinara sauce, the remaining 2 tablespoons harissa chili paste and the garlic. Blend until well combined. Spread sauce on dough pieces. 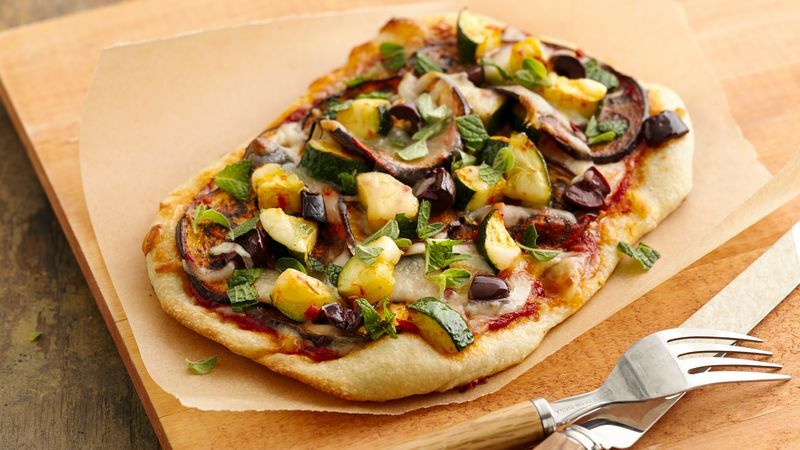 Top with 1 1/2 cups of the mozzarella cheese, followed by roasted veggies and olives. Sprinkle with remaining 1/2 cup mozzarella cheese. Bake 10 to 15 minutes or until crust is golden brown and cheese is melted and bubbly. Top with oregano and mint.